TABLESIDE - Luscious Moisture and Brilliant White Flake. THE FISHERY - SeafoodS.com is enamoured by the availablility of Day Boat "Seafood Producers Cooperative" Alaskan Halibut, Salmon, Ling Cod, and Rockfish. This is a direct "Same Day" Anchorage Flight into the Continental United States and available to you the next morning. We have years of successes and many accolades with this program. Hook and Line Day Boat Operators, in the SPC, are dedicated to providing some of the best Alaskan Seafood in the National Market. Allow SeafoodS.com to provide you, your team, and your guests a truly awe inspiring Alaskan Experience. 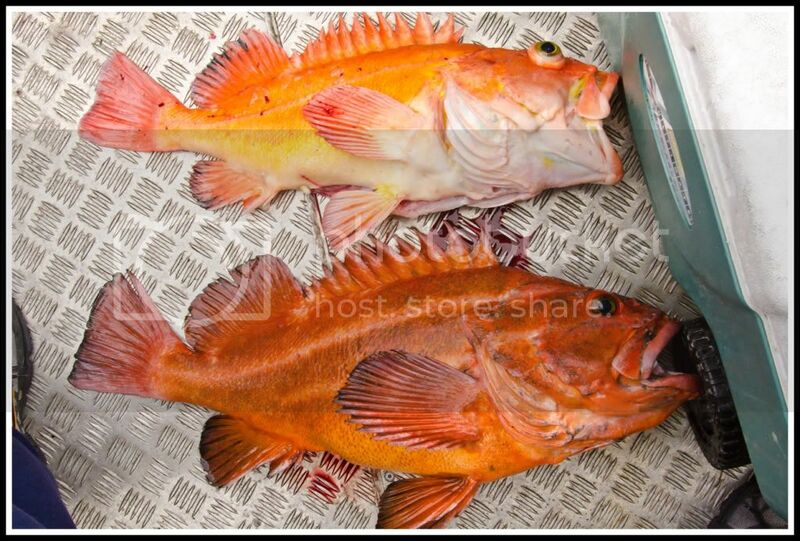 THE FISH - A reasonable resemblance to the fillet shape of Sea Bream and Snapper, however, the Rockfish surpasses those species in "Fat". The Rockfish is a deep water species that packs on "fat" to regulate body temperature. This translates to an incredible silkiness and succulence. The Paper White Cooked flesh is mild and slightly firm with incredible flake. The Rockfish is clean and opaque raw and is a formidable Sashimi and Sushi choice. With all of the creaminess of Tai and Madai, the Rockfish holds up to the most educated palates.